The number of TV sets connected to the Internet will reach 876 million by 2020, up from 105 million at end-2010 and the 415 million expected at end-2015, according to a new report from Digital TV Research. Covering 51 countries, the Connected TV Forecasts report states that the proportion of TV sets connected to the Internet will rocket to 29.9% by 2020, up from only 4.5% at end-2010 and the 15.5% expected by end-2015. By 2020, South Korea (55.0%) will have the highest proportion. At the other end of the scale, the proportion will only be 11.4% in India. The US will supply 184 million connected sets by 2020, up from 112 million in 2014. China will take second place in 2020, with 144 million – up from only 21 million in 2014. From the 538 million additional TV sets connected to the Internet between 2014 and 2020, China will supply a massive 123 million, followed by the US (72 million), India (29 million), Brazil (30 million) and Japan (26 million). Asia Pacific will become the largest region in 2017. The global total of connected TV sets via streaming/retail settop boxes such as Chromecast and Apple TV will reach 207 million in 2020 (with 42 million in the US and 39 million in China), up from fewer than 4 million in 2010. The expected 58 million total by end-2015 is up from 37 million a year earlier. 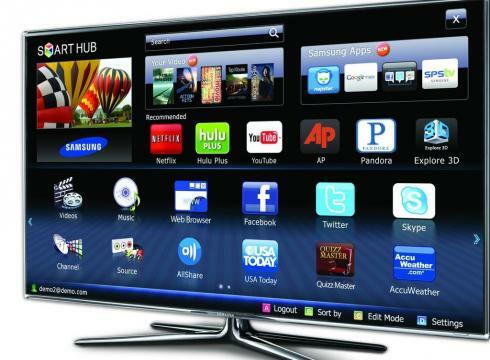 The number of installed smart TV sets overtook connected games consoles in 2013. Smart TV sets will account for 36% of the 2020 total connected sets, with 320 million (of which 56 million will be in the US and 64 million in China). There were only 31 million connected smart TV sets by end-2010, but this total will quintuple to 150 million by end-2015. As a proportion of total TV sets, this percentage will climb from 1.3% in 2010 to 5.6% in 2015 and onto 10.9% by 2020. By 2020, this proportion will be higher than 10% of TV sets in 34 countries. The number of connected games consoles will rise to 169 million by 2020; up from 107 million in 2014. The US will provide 43 million of the 2020 total, followed by Japan (17 million) and China (16 million).